Looking for a healthy side dish for the holidays? 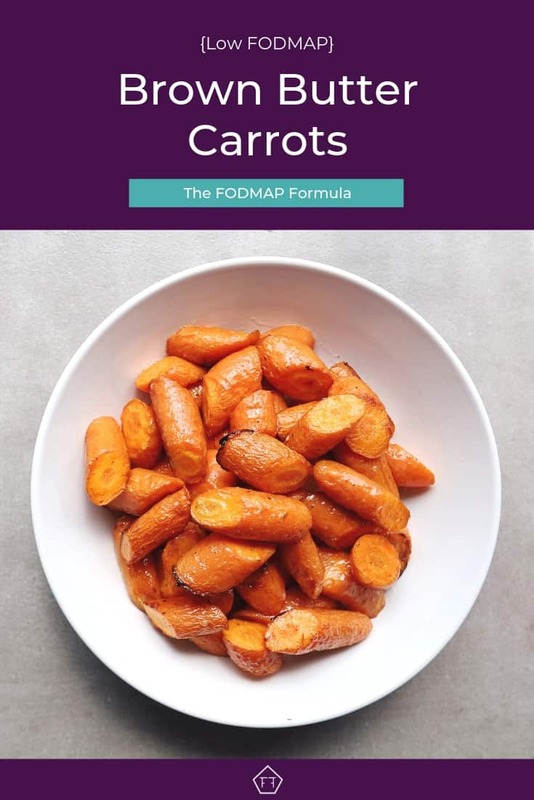 With no detectable FODMAPs, these quick and easy low FODMAP brown butter carrots will keep you focused on your friends and family instead of the low FODMAP diet. It’s a bit of a joke during our family holidays that if you need me, I’ll be in the kitchen. Cooking dinner for 40+ people can get a little crazy, so I’m always on the lookout for dishes that can essentially make themselves. Not only do these brown butter carrots taste phenomenal, but they’re ridiculously easy to make. Just swish them in a little butter bath and pop them in the oven. Done! Whether you’re planning your next holiday bash or just looking for a quick and easy side dish, this one’s the ticket! Looking for a quick and easy side dish this holiday? Great news! 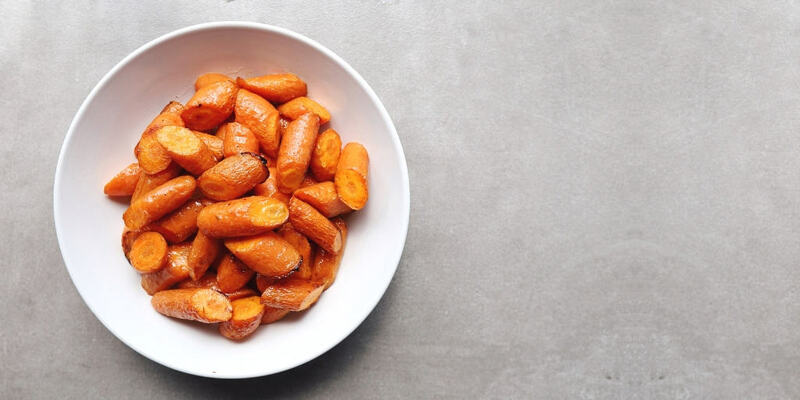 These tasty low FODMAP brown butter carrots don’t have any FODMAPs. So, you can eat as much as you’d like – from a FODMAP perspective of course! 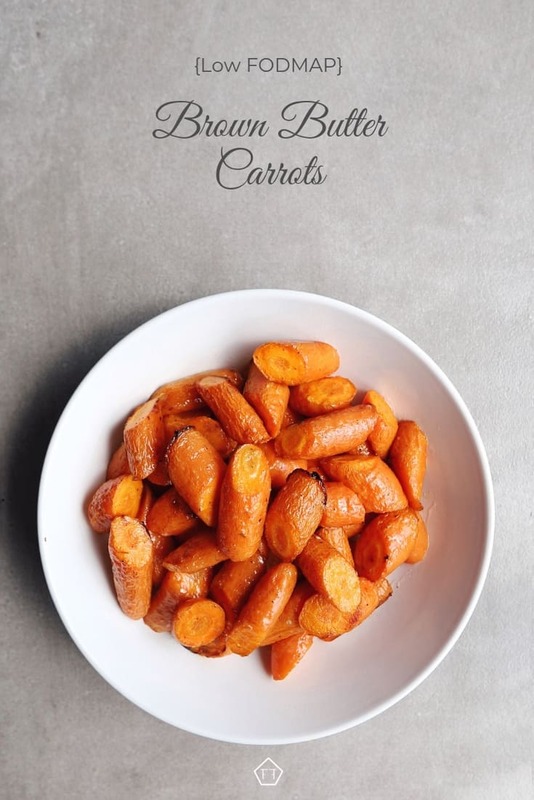 Want to try these low FODMAP brown butter carrots? Don’t forget to PIN THIS RECIPE for later! Looking for a quick and easy side dish your whole family will love? 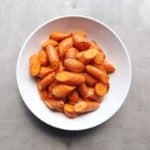 These quick and easy low FODMAP brown butter carrots will keep your taste buds and your tummy happy! Preheat your oven to 425 degrees and coat a baking sheet with cooking spray. Set aside. Combine carrots, butter, olive, oil, salt, and pepper in a medium-sized bowl and toss to coat evenly. Arrange your carrots in a single layer on your prepared baking sheet and roast for 15 minutes. Serve warm. I hope these low FODMAP brown butter carrots make your holiday a little easier. If you like this recipe, don’t forget to share it! Together we’ll get the low FODMAP diet down to a science! Low FODMAP Roasted Oyster Mushrooms Are you craving something savoury? Packed with the deep, umami flavour you love, these roasted oyster mushrooms will be a new fan favourite at your dinner table! Low FODMAP Braised Turnips Looking for a FODMAP-friendly holiday side dish? Easy to scale up or down, these braised baby turnips are perfect for everything from a quiet night at home to your next holiday bash!